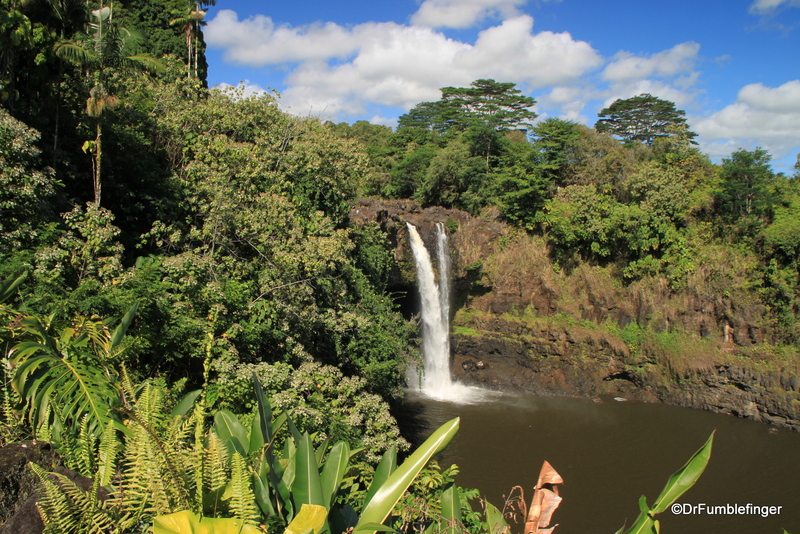 Situated on the outskirts of Hilo, on the windward site of the Big Island of Hawaii, is beautiful Rainbow Falls. 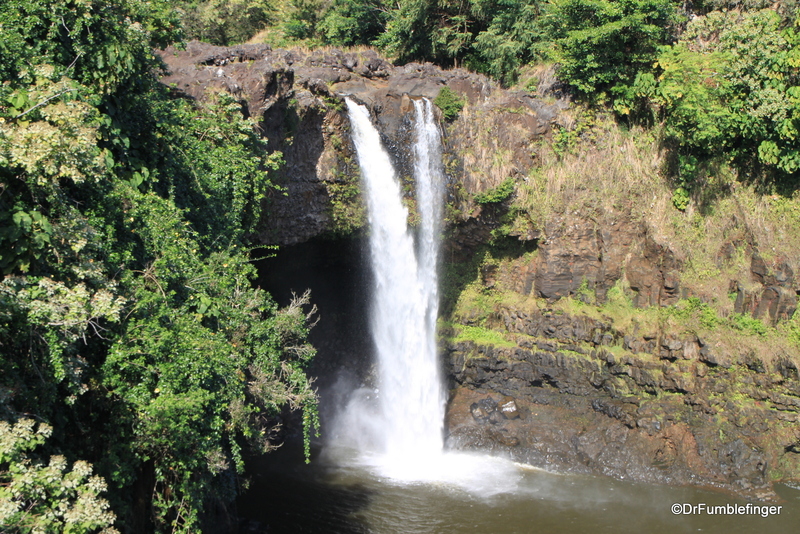 The falls is just northwest of Hilo off the main roads of the city, in Wailuku River State Park. It’s in a small canyon covered with lush tropical foliage and makes a picture-perfect photostop for people heading to and from Volcanoes National Park. The waterfall has a beautiful “Y” shape only when there’s only the right amount of precipitation — too much or too little and the “Y” disappears into a single channel of water. The fall’s name comes from the rainbow you’ll see in morning light on a sunny day.